There are numerous reasons that patients throughout New York need an emergency dentist. A dental emergency can strike at any time. Dr. Geri-Lynn Waldman and Dr. Isha Suri, and our staff at Hudson Valley Pediatric Dentistry, will try to accommodate any last minute appointment requests, so that your child does not have to live with any oral pain. If your child has a toothache or a major dental emergency, call 845-363-4177 right away. We offer extended hours as needed and will do our best to get your child treated immediately. Children are susceptible to dental emergencies, and it is important to meet these critical moments with a gentle touch. 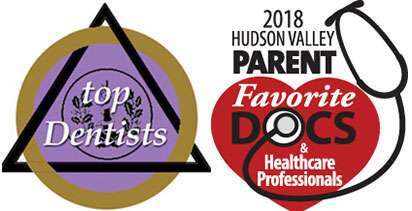 Hudson Valley Pediatric Dentistry wants children at impressionable ages to experience pain relief and compassionate care from the start. Dr. Geri-Lynn Waldman builds trusting relationships with families so she can learn the unique needs of each child. 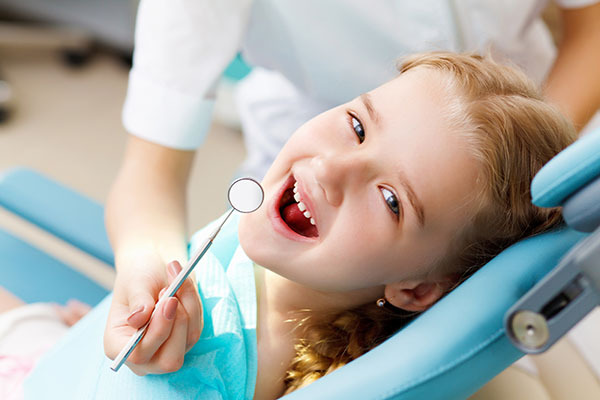 Dr. Waldman treats children’s dental emergencies in Sullivan and Orange Counties with patience and excellence. If your child is suffering from a dental emergency, it is important to remember that children are affected by the attitudes and emotions of those around them. Remaining calm and reassuring your child that help is on the way are important ways you can help your child prepare to receive care with a positive outlook. Children are active and prone to damaging their teeth. If a child has chipped or broken a tooth, try to locate the broken piece. Sometimes chips can be bonded back onto the tooth. If a child is bleeding from an avulsed (knocked out) tooth, apply pressure on the gum to help stop the bleeding, and place an ice pack on the area to minimize any swelling. Sometimes with immediate attention, avulsed teeth can be replanted into the socket. Gently rinse the tooth with warm water and place it in a glass of warm milk or salted water, and call Dr. Waldman immediately. Toothaches are generally a sign that tooth decay has penetrated the enamel and reached the inner chamber, or pulp, of the tooth. The pulp is where the nerves are, and nerves become inflamed and send signals to the brain when bacteria are present. If treated promptly toothaches may sometimes be treated with just a filling. Often, the dentist may need to remove part or all of the pulp and cap the tooth to protect it. If left untreated, toothaches can lead to infections in the jaw that endanger other teeth and other organs in the body. Avoid further complications by seeing your dentist as soon as possible. A few items to keep in your first aid kit may make waiting for professional help easier for your children. Dr. Geri-Lyn Waldman’s delight in helping children is what led her to specialize in pediatric dentistry. She provides fast service for families facing dental emergencies. Her experience and compassion equip her to treat the special needs of children. Located in Middletown, New York, she serves patients throughout Sullivan and Orange counties. The American Dental Association reported that the number one cause of adult tooth damage every year is playing sports. This spans all types of athletics and creates the need for emergency appointments throughout Middletown, NY. Children involved in sports face equal risk of damaging their teeth. Even a backyard game of basketball can lead to a tooth being damaged or knocked out. By having your child wear a mouth guard, you can help to protect your child's teeth. However, when an emergency strikes, call (845) 363-4177. Car accidents are another cause of tooth injury. While the enamel on your child's teeth is strong, it may not be strong enough to prevent a tooth from breaking when colliding with the back of a seat or part of the car. With millions of accidents a year, teeth are more common of a victim than people realize. We recommend that patients of Hudson Valley Pediatric Dentistry, get examined at a local emergency room after being in a car accident, just to make sure that they have not sustained any physical injuries. Afterwards, patients in the Middletown, NY, area should call for a dentist appointment. The emergency room does not treat tooth damage, so you will need to see both types of medical providers. Severe and sudden toothaches are another reason people in New York end up needing an emergency dentist. Dr. Geri-Lynn Waldman and Dr. Isha Suri, can examine children's teeth, and determine what is causing the pain. It may be a little cavity that grew into a big one, now requiring a root canal. Another possibility is gum disease, which can cause the gums to recede, leaving the tooth and root exposed. Both can lead to intense pain and require emergency treatment. We do our best to make sure that patients of Hudson Valley Pediatric Dentistry, are treated right away and kept comfortable during the procedure. We will also make sure that our patients return home with the necessary steps and medications to feel comfortable after the procedure. If a tooth infection is left untreated for a long period of time, it can lead to a dental abscess. An abscess is a major tooth infection that can settle into the jawbone and the floor of the mouth. If it does, oral surgery may be necessary to remove the infection. 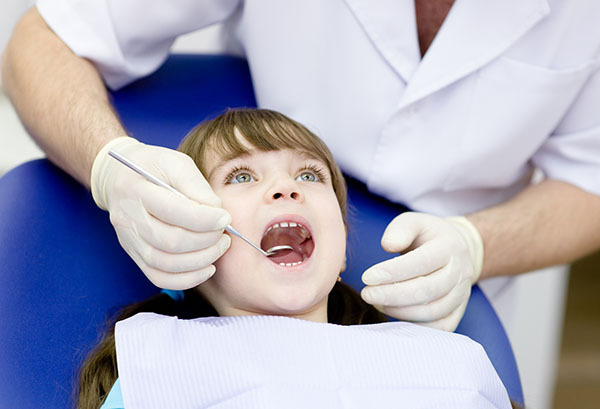 We can let you know if we see an abscess during your child's dental exam with Dr. Geri-Lynn Waldman and Dr. Isha Suri. We help children, throughout Middletown and the surrounding area, stay comfortable and live a pain-free life. If your child comes into our Hudson Valley Pediatric Dentistry, offices experiencing pain, we will identify what is creating the issue and recommend the treatment options available for dealing with it. Often, we will also prescribe medication to help with the pain. This can prevent your child from feeling discomfort during the procedure and afterward. You may also want to apply a cold compress/ice pack to the area in order to reduce or prevent swelling. If your child's tooth has been knocked out, try to find it. Once located, rinse the tooth under lukewarm water without scrubbing it. Next, place it in a cup of milk and bring it with you to your child's dental appointment. We will try to save the tooth, if possible. If not, Dr. Geri-Lynn Waldman and Dr. Isha Suri, will discuss options for replacing the tooth. It is common for children to damage a tooth while playing sports or eating. It is likely the damage will result in the tooth becoming cracked or chipped. As long as the tooth structure remains in place, it can be corrected with cosmetic dentistry. There are multiple ways to restore teeth in New York. Some of which include dental bonding or a dental crown. Both are excellent options that can restore your child's tooth to full functionality and maintain a natural appearance. As an emergency dental facility, we can provide you with information on what your options are and the best way to restore your child's tooth. We can also help your child achieve the goals for his or her smile. To schedule an appointment, call 845-363-4177. As an emergency dentist, we will assess the situation, inform you of what is infected, and offer the best way to treat it quickly. Our job is to keep your child comfortable, healthy and pain-free. Our patients in Middletown, NY, trust us to remove infections, while also keeping their teeth and gums in excellent oral health. If we are fixing a general cavity or treating a dental abscess, we will free the patient from infection and pain. Dr. Geri-Lynn Waldman and Dr. Isha Suri, is an expert at resolving the issue in a way that keeps patients comfortable during any necessary procedures. How can an emergency dentist help my child? At Hudson Valley Pediatric Dentistry, we strive to keep our patients comfortable and free from pain. As such, we are cognizant of the fact that most dental emergencies are unplanned and may not happen during normal business hours. 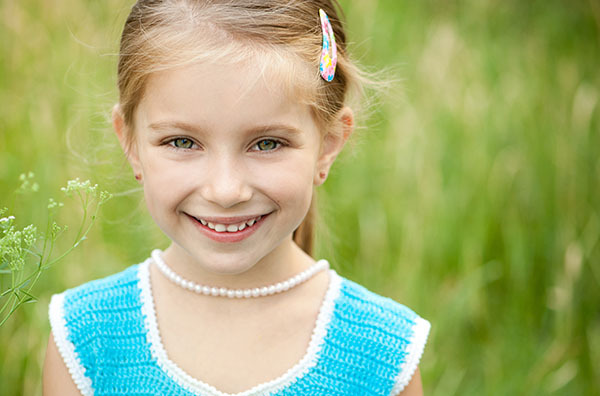 If your child's tooth has been damaged or your child is in pain, call (845) 363-4177 right away. As soon as we receive your call, we will schedule an appointment and quickly treat the issue. Our friendly staff will accommodate your schedule and ensure that your child can get back to a better life after the procedure. 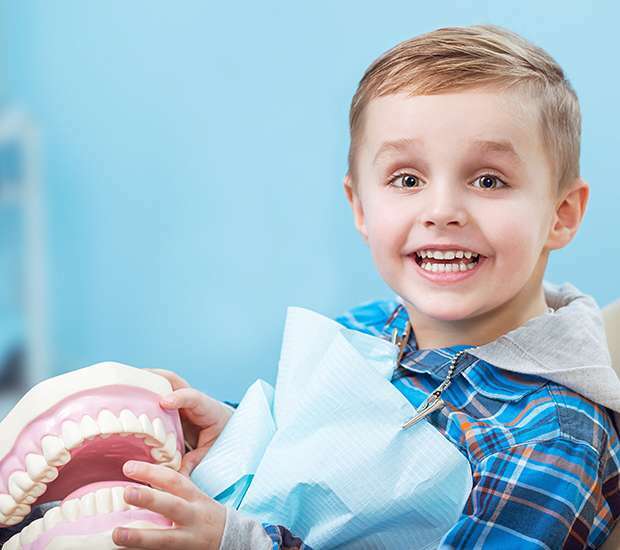 While many dentists require you to schedule appointments far in advance, our staff will work with you in each situation to treat your child as soon as possible. You can also help to avoid dental emergencies by having your child's teeth cleaned twice a year and help your child maintain a healthy diet year-round. A: Find the tooth and rinse it gently in lukewarm water. (Do not scrub or clean it with soap — use only water) If possible, replace the tooth in the socket immediately and hold it there with clean gauze or a wash cloth. If you can't put the tooth back in the socket, place the tooth in a clean container with cold milk, saliva or water. Get to the Emergency Dentist immediately. (Call the emergency number if it's after hours.) The faster you act, the better your chances of saving the tooth. Q: What if my child's tooth is chipped or fractured? A: Contact your Dentist immediately. Quick action can save the tooth, prevent infection and reduce the need for extensive dental treatment. Rinse the mouth with water and apply a cold compress to reduce swelling if the lip was also injured. If you can find the broken tooth fragment, place it in cold milk or water and bring it with you to the dental office. A: Call our office immediately. Over-the-counter children's pain medication, dosed according to your child's weight and age, might ease the symptoms. You may apply a cold compress or ice wrapped in a cloth to the face near the area of the pain, but do not put heat or aspirin on the sore area. If you live in the Middletown area, call 845-363-4177 to schedule your dental exam so that you can remain in good health or receive treatment for a current condition. Middletown, NY Gentle Dentistry Services Chipped Tooth?